The Dumfries and Galloway property market continues to prosper according to latest figures released by CKD Galbraith's Castle Douglas office. They report an increase in the volume of property sales and an increase in the average value of property sold during the final quarter of 2015 (Q4 Oct Dec 2015) compared to the previous quarter as well as being up on the same quarter of 2014. The increase in CKD Galbraith's Castle Douglas property sales reflects the latest figures recorded by Registers of Scotland (report published 2 February) which outlined that from October to December 2015 Dumfries & Galloway sales increased by 19.1% in comparison to the same quarter the previous year. 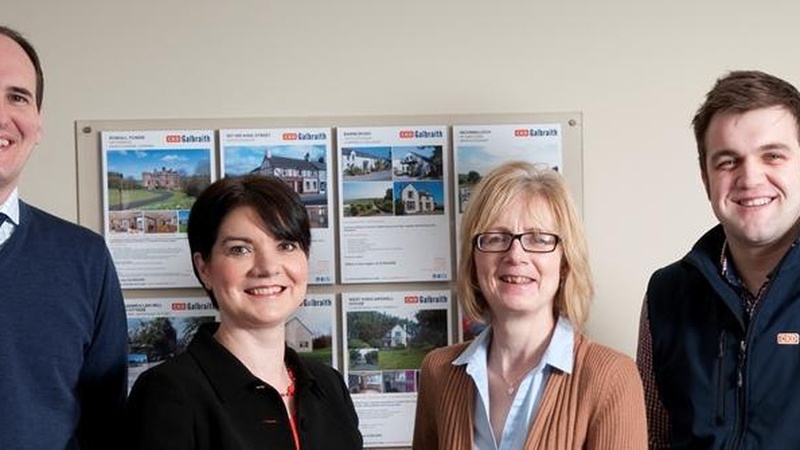 The Dumfries and Galloway property market has continued to show positive results throughout the final quarter of 2015 with our sales figures increasing greatly. The number of applicants registering with our office has remained steady and we have greatly reduce the average time it has taken to sell a property, down by almost six months. National buyers continue to be attracted by the Dumfries & Galloway market with value for money and lifestyle benefits being great draws. Often there is a historical or family link to the area and it is great to see young families returning to the area, as well as the usual pre-retirement / retirement market. Dumfries & Galloway has so much to offer with a huge range of outdoor pursuits, great local communities and a wealth of clubs and societies, there really is something for everyone. A reduction in available stock has led to a slight increase in prices in recent months, a trend we hope maintains gentle momentum. Despite the market having endured some significant changes over the last year, with the introduction of the LBTT and the 3% levy on second homes coming into play this April, we are witnessing an encouraging picture in Dumfries & Galloway so far for the start of 2016, which should be enhanced further as we approach the prime Spring selling period. There were also positive signs in the Dumfries & Galloway lettings sector. We have been encouraged by our findings for the final quarter of 2015, indicating continued strength in the Dumfries & Galloway rental sector. There has been a 50% increase in the number of new properties available to let over the last quarter compared the previous quarter, typically suitable for young families. Demand remains high with our findings indicating a 7% increase in viewings over the final quarter of the year. In a similar pattern to the sale market, a shortage of good available stock has driven enquiry levels and agreed leases. We deal with a range of tenants from those seeking a short term between sales' solution and long term rent-to-live tenants. The latest Registers of Scotland report also outlined that from October to December 2015, the total volume of residential property sales in Scotland increased by 14.5% compared with the same period in the previous year. The average property price in the quarter was 167,734 an increase of 1.6% compared to the previous year. CKD Galbraith operates a network of offices throughout Scotland and figures for the firm as a whole, over the same period, reflect this national trend with a 17% increase in the volume of sales achieved in comparison to the same period last year and the average value of property sold by the firm being 384,000, an increasing of 19.8% on the same quarter of 2014.